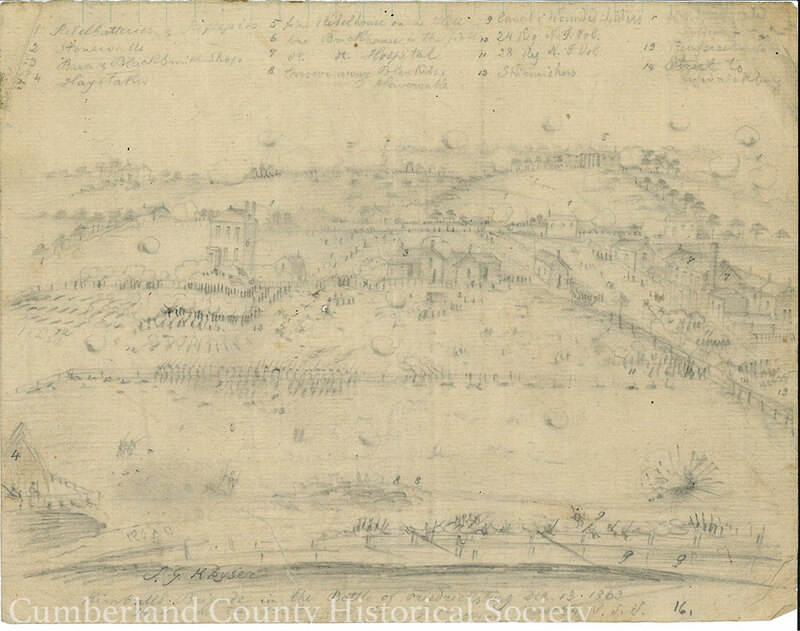 Action at Marye’s Heights, Outside Fredericksburg December 13, 1863 – Kimball’s Brigade in the Battle of Fredericksburg December 13, 1862 Drawn on the Battlefield by J. G. Keyser1. Rebels Batteries 2. Stonewalls 3. Barn & Blacksmith Shops 4. Haystacks 5. Fine Rebel house on the Hill 6. Fine Brickhouse in the Hill 7. Hospital 8. Throwaway Blankets 9. Canals Wounded Soldiers 10. 24 Reg. N. J. Vol. 11. 28 Reg. N.J. Vol. 12. Skirmishes 13. Reinforcements 14. 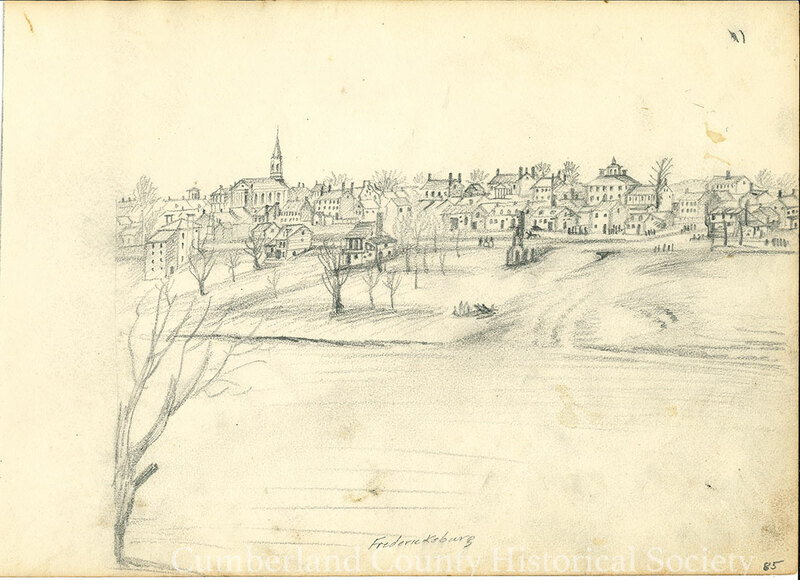 Street to Fredericksburg – The front of the nineteenth sketch in the collection.